Help us expand in 2018! Help MealFlour expand in 2018 and increase food security for families throughout Guatemala! We are beyond excited about the requests from several Guatemalan-run organizations to bring the MealFlour program to their communities. We also have developed new partnerships, locally and globally (read below for more information) -- but we need your help! Can't donate? Even just sharing the campaign with friends and family helps! Asociación de Mujeres Ixpiyakok (ADEMI, Ixpiyakok Women's Association) was started in 1984 by 30 indigenous Mayan who lost their husbands in the civil war. Now, they work with over 30 communities throughout the Chimaltenango and Quiche regions to improve local food security and nutrition, local economic development, health, and political education. These photos were taken at our introduction section with over 18 women leaders last month. MealFlour will start working with these women in 2018, when we will teach them how to raise mealworms and support them as they run trainings in their communities. Through this partnership, the MealFlour program will also be adding another language to our trainings - Kaqchikel! ...And our global partner, MIGHTi! MealFlour is excited to announce our partnership with MIGHTi! MIGHTi, led by Valerie Stull, is a research project designed to address the multifaceted factors that contribute to food insecurity in Southern Africa. Since 2013, they have been collaborating with local partners in Zambia to generate socially acceptable and environmentally sustainable farming methods for edible insects. 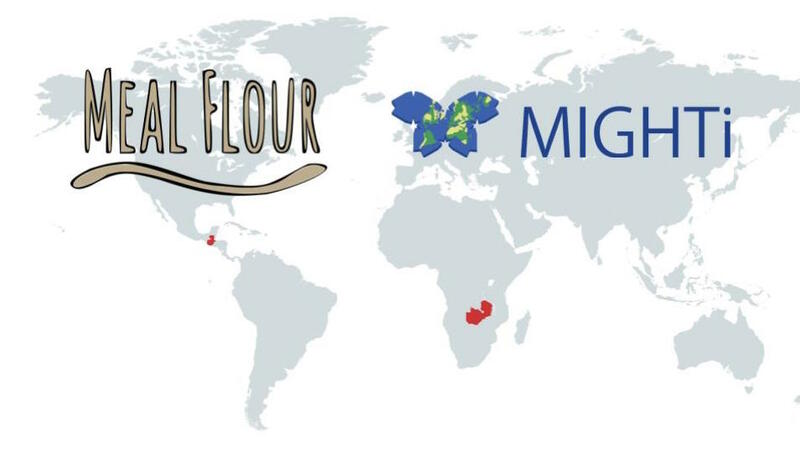 MealFlour and MIGHTi will collaborate on projects that use edible insects to improve nutrition in Guatemala, Zambia, and elsewhere. Our goal is to develop a model that can be scaled to bring edible insect farming training programs to communities in countries around the world! Thank you to the University of Chicago who will sponsor two new interns to join us in Guatemala during Summer 2018! Please help spread the word about our crowdfunding campaign!